New Folk Tales book featuring Three Fire Springs! The Anthology of English Folk Tales is out today, 1 November 2016! 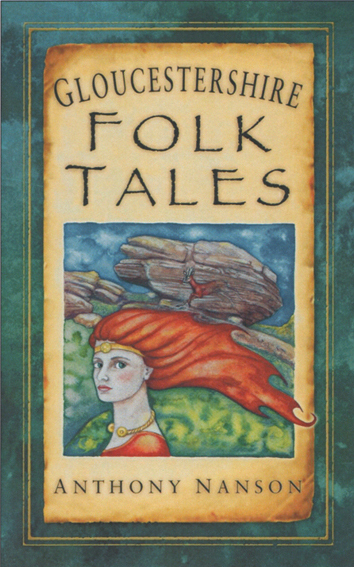 This treasury of tales from all around England is drawn from the History Press’s county folk tales series and features tellers such as Taffy Thomas MBE, Hugh Lupton, David Phelps, the storyteller who started the History Press on this folk and ghost tale journey – and Anthony, Kevan and Kirsty from Fire Springs! We three have five tales in the book, from Gloucestershire, Oxfordshire, Northamptonshire, Wiltshire and Suffolk. 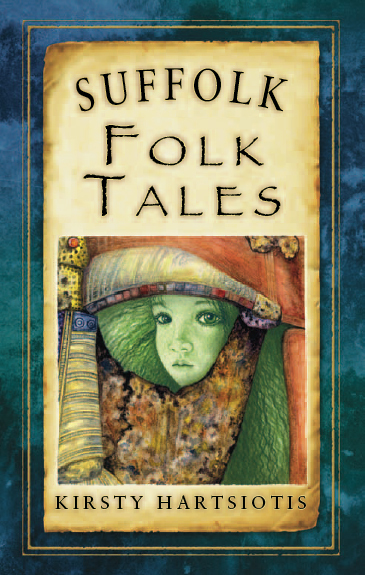 And of course it has an all new cover illustration from folk tales illustrator extraordinaire, Katherine Soutar-Caddick! 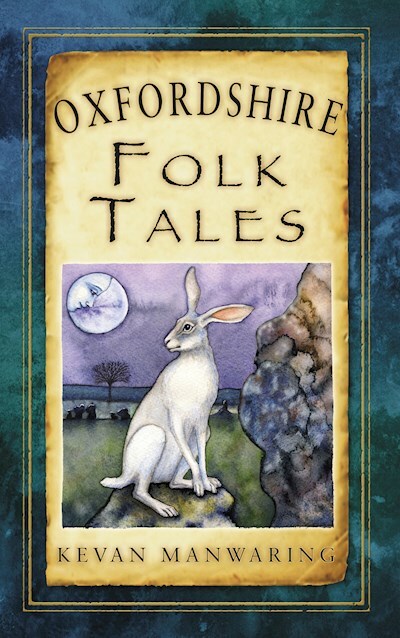 An ideal Christmas present for wide-ranging folk tale seekers? That’s not all – all SIX Fire Springs members – Chantelle, David and Richard as well as the usual suspects above are going to be featured in a new History Press book coming out in 2017. 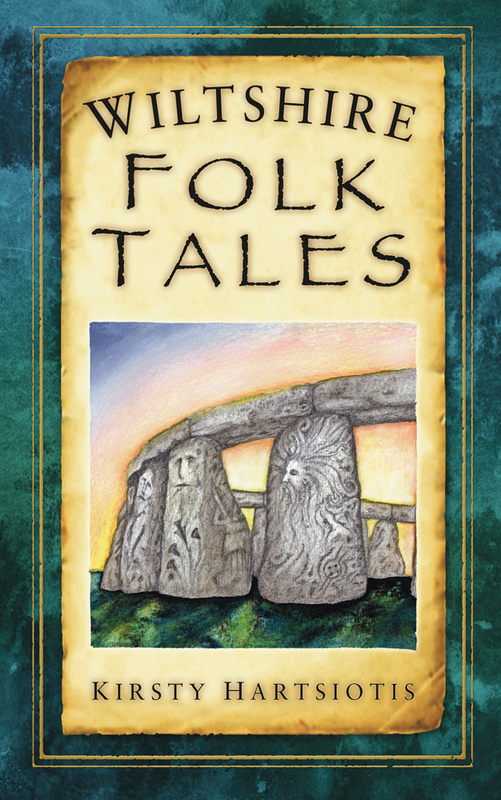 Ballad Tales, edited by Kevan, is a book of 20 tales inspired by traditional British ballads by storytellers, writers and musicians. Kevan’s heroically produced all the interior illustrations, but the cover design will be a departure – Stroud-based printmaker Andy Kinnear has been commissioned to produce a cover in his inimitable macabre style… Watch this space! A Mess of Saints – the battle to be England’s patron saint. So who should be patron saint of England? St George? St George is fine. And very popular: many countries around the world have adopted him as their patron saint, just as England did. But I wanted to use St George’s Day as the springboard to bring back England’s neglected first patron saint: Edmund. Edmund was made patron saint of a newly united England, and remained so, alongside the later Edward the Confessor, until Edward III officially made St George our saint in the mid 14th century. For over ten years there has been a drive to reinstate St Edmund, and it’s a fun idea. It’s all too easy, though, to see the drive to reinstate the (possibly) local English-born Edmund over the Palestinian/Turkish/Greek George as an exercise in jingoism – out with the foreigner, bring back the native born son! So we need to tread carefully. St George has wide appeal and everyone knows about the dragon killing and the princess rescuing (though that’s a bit non-PC in my book!) though fewer I suspect know about the story of his martyrdom at the unwilling hands of Diocletian, who knew him, respected him and had been a friend of his father. Of course, George does have a claim to Englishness. There are those who say that he was born in Coventry – and died there too – but this derives the legend of the seven champions, recorded in England as The Famous History of the Seven Champions of Christendom by Richard Johnson in 1596. This wacky series of tales about some of the most popular saints in Britain at the time (including all our patron saints: Patrick, Andrew, David and George, as well as those of Spain, France and Portugal, James, Denis and Anthony of Padua) are romances in which the hero-saints win fair maidens, fight enchantments and the enemies of Christendom. They were very popular and bear very little reference at all to the lives of the saints themselves: St Andrew, for example, delivered six women who had lived for seven years as swans and all of the saints were put into an enchanted sleep in the Black Castle. These tales inhabit the worlds created by Sir Thomas Malory and the other, earlier Romance writers – it’s easy to see why they were so popular. Be warmed, though! They are super racist and sexist… A product of their time. Unbeknownst to me, apparently we had a third patron saint as well: St Gregory the Great. Gregory is honoured because he sent the first mission to convert the Anglo-Saxons: he’s the one who made the witty comment about some Anglo-Saxon slaves he saw in a market in Rome. Finding their appearance unusual: ‘fair complexions, fine-cut features, and beautiful hair,’ he enquired after them. It was explained that they were pagans from the island of Britain. Gregory was disappointed that ‘such bright-faced folk are still in the grasp of the author of darkness’ and asked the name of their race. The slaver replied: ‘They are called Angles.’ Gregory came back with the retort ‘Non Angli sed angeli,’ – not Angles but angels. He then continued punning on discovering that they were from the province of Diera (which then stretched from the Humber to the Tees), saying that ‘they shall indeed be rescued de ira (from wrath) and called to mercy of Christ.’ On hearing that their king was Aelle, he then punned on that, saying that it was right that their land echoed with the word to praise God, Alleluia…(1) What a wit! He acted immediately to beg the then pope to send a mission to convert the Anglo-Saxons, but only achieved this when he himself became pope. He has the saint’s day 3 September. And then St Edmund the Martyr, our East Anglian saint. During his lifetime – or just after – there is one mention of him by name from the Anglo-Saxon Chronicle, as it describes ‘a great heathen force’ arriving in 866 when Edmund is referred to as making a peace with them in East Anglia, though not by name, through to 870: ‘The force went over Mercia to East Anglia, and took winter quarters at Thetford. In that year, St Edmund the king fought against them and the Danes took the victory, killed the king, and overcame all the land.’(2) From this the familiar legend grew of the death of Ragnar, the revenge of Ivar, Edmund’s devoted Christianity, the wolf’s head and so forth. 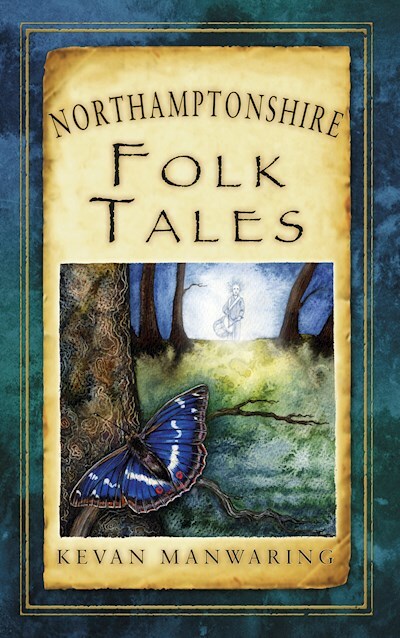 You can find the whole tale, taken from many sources around Suffolk, in my Suffolk Folk Tales. Within 20 years of Edmund’s death a memorial coinage was being issued, already marking him as a saint, and in Asser’s Life of King Alfred, written in 893, more biographical detail is given of his coronation and death. He is said to have been an inspiration to Alfred as he too fought against the Danes a few years later in the late 870s. His saint’s day is 20 November. I’ll be blogging more on St Edmund, and the Vikings in his story: Ragnar Hairy Breeches and Ivar the Boneless, as well as the various revenges of the saint on various unholy royals and council planners (and his nicer catalogue of saving children!) but today I wanted to put to you: who should be England’s saint? Well, why should we have to choose? Why not have the lot? Many countries have multiple saints – according to Wikipedia, France has seven, Germany has nine, and India and Japan have four and two respectively! So – shall we go back to having lots? Four saints? And maybe – can we have four bank holidays too?